I have a crazy addiction to beets. I’m usually roasting a pan of beets every week for tossing in salads and making beet dips. This dip was designed with one of my clients in mind. She will probably read this but she has sensitivities to everything (almost everything) including garlic, dairy, lemon and nuts. You will not be disappointed in fact it’s hard to control yourself. 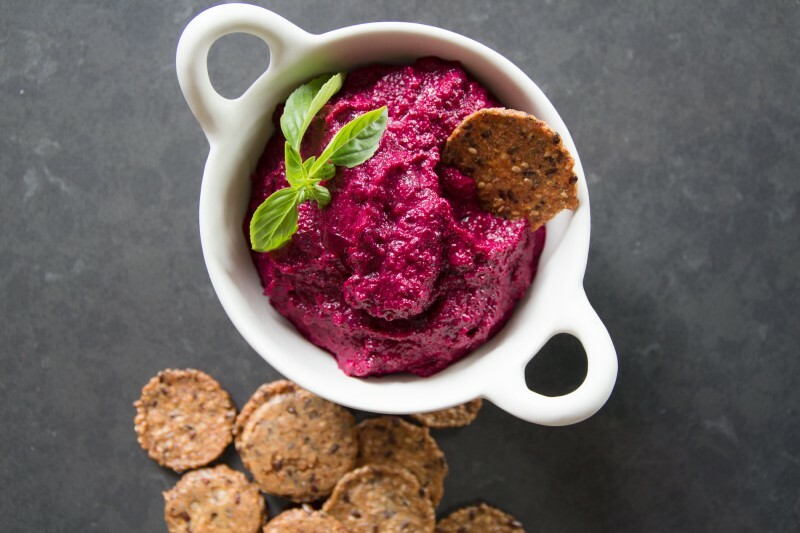 This dip is considered autoimmune friendly and for anyone following FODMAP it is still legal in small amounts. This pesto is a great addition to grilled burgers, as a dip for vegetables or gluten free crackers but also tossed with zucchini noodles. Served with an antipasti spread or eaten with a spoon. Ok maybe that’s just me. To roast the beets: Preheat the oven to 400 degrees F. Slice the tops from the beets and cut the beets in half. Place in a baking dish with ½ inch water and cover with a lid or foil. Bake for 50 – 60 minutes. The beets should be tender when pierced with a fork or knife. Allow the beets to cool enough to handle. Using a paper towel rub the skins from the beets. 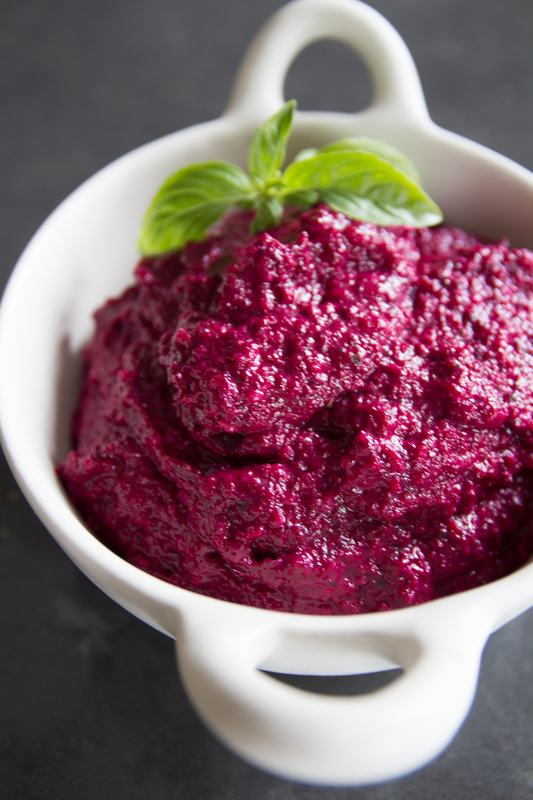 For the pesto: Place the beets in the bowl of a food processor and blend along with the lime juice, basil, pumpkin seeds, garlic oil, olive oil and sea salt. Taste for seasoning adding more lime or sea salt as needed. Store in the fridge in a sealed glass jar until ready to use.